I’m a nut about American Indian jewelry. And I’m clearly not the only one given the ongoing popularity and demand for the art. One of the things I do a bit differently from many buyers, though, is that I buy my American Indian jewelry directly from the artists themselves whenever possible. Partly this is to show my highest respect for their art. Partly it’s to help support the livelihood of their tribes in the most direct way possible. And partly it’s to ensure that I’m buying truly authentic pieces by authentic artists. What? Should I be concerned that I’m buying authentic American Indian jewelry? Absolutely! And so should you. The strength of the American Indian jewelry market has inadvertently created a notorious and insanely profitable black market of cheap knockoffs bearing fake American Indian artist hallmarks, stones, manufacturing techniques, tribal affiliations, and certificates of authenticity (COA). Most are manufactured in foreign countries and are subsequently imported and marketed illegally here in the United States. They might be cheaper alternatives if you are pinching pennies, but they rob legitimate artists of the work, money, and credit due to them. How widespread is this problem? In 2009, the Indian Arts and Crafts Association released a statement estimating that 75% of jewelry and other arts and crafts marketed as authentically American Indian are actually fakes. 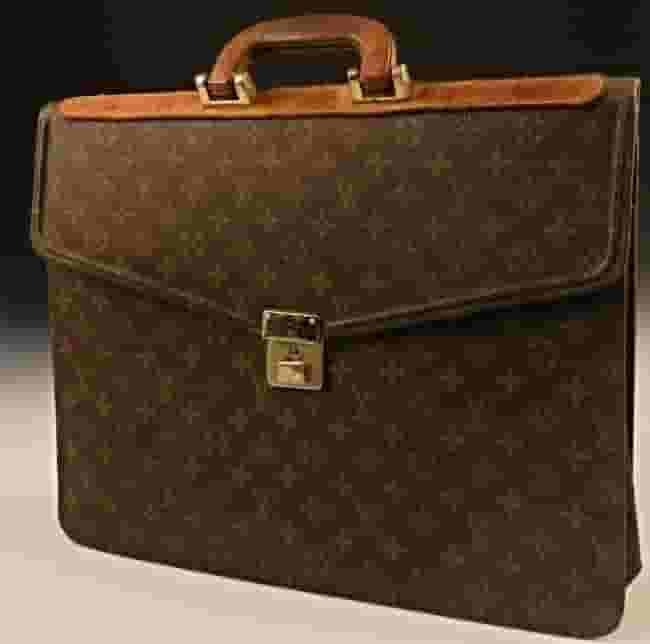 Although the Indian Arts and Crafts Act of 1990 made this illegal, cracking down on law violators is extremely difficult with importers infiltrating markets from eBay to the most exclusive retail establishments. Arrests do take place, though. Five individuals were charged in February 2017 with 40 counts of marketing $300,000 worth of fake American Indian jewelry in Albuquerque and Santa Fe that they imported from the Philippines. 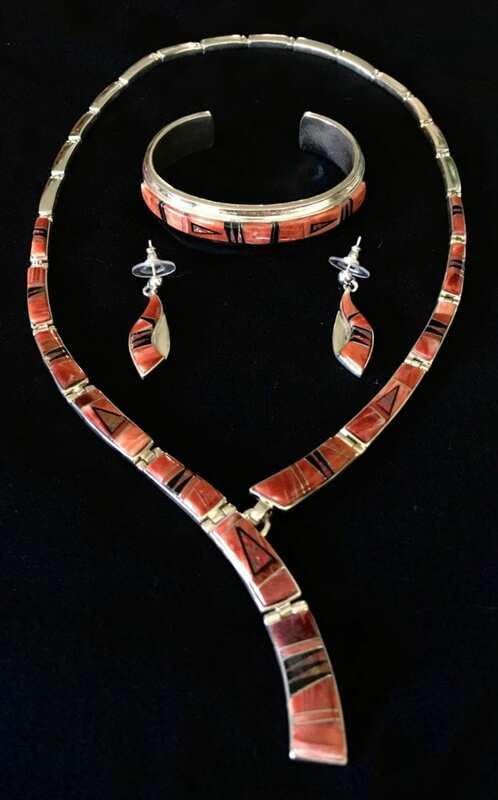 Some of it was claimed to be by Calvin Begay, one of the top designers of American Indian jewelry (and one of my personal favorites). Begay was called in to examine the pieces personally, and he confirmed that he had never seen them before and hadn’t made them. 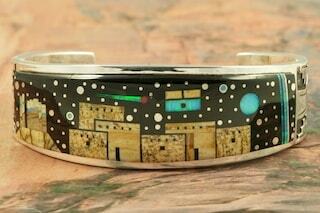 Anyway, as both an appraiser and a lover of authentic American Indian jewelry, I’m always on the lookout for it. That’s why when the 96th Annual Santa Fe, New Mexico Indian Market, the largest juried American Indian art show in the world, came up August 19th and 20th, I scrambled into my SUV and pointed it south from my home in the Denver Boulder area of Colorado straight into that throbbing center of American Indian art. The show was a bit smaller this year, down from last year’s 150,000 estimated visitors and 1,500 showing artists to 125,000 estimated visitors and 1,200 showing artists. While several shop owners on the plaza confirmed this observation for me, they had no clear or consistent insights into it. Their own sales remained strong, and there was no lack of foot traffic from their point of view. Guesses included increasing costs of booth space, overcrowded grounds, economic instabilities within the tribes, competing art fairs, and the artists bringing a reduced inventory with them that sold right away and left later buyers with only a few pieces to consider. The majority of the award-winning artists in both the traditional and contemporary jewelry categories were veterans of the jewelry show circuit like Jesse Monongye, Wesley Wiley, Benson Manygoats, Chris Pruitt, Julius Keyonnie, Keri Ataumbie, and Liz Wallace. Many of their offerings, while beautiful,were based on design elements from previous trailblazers such as Hopi artist Charles Loloma’s chunky inlays, Zuni artist LeekyaDeyuse’s fetish images, Navaho artist Kenneth Begay’s stamp work, Hopi artist Preston Monongye’s silver overlay technique, and Haidi artist Charles Edenshaw’s flowing carved and engraved silver designs. After fighting through the crowds perusing the art fair booths, I went back to the shops around the central plaza to check out what might be currently popular in the brick and mortar retail world. There, in addition to seeing jewelry made by countless original artists and their lesser known copycat producers, I ran into a plethora of designs in several shops by one of the most popular and prolific contemporary artists, Calvin Begay. While trying on some pieces in one of the shops, I had the good fortune of being introduced to the artist himself and couldn’t resist the temptation to having my picture taken with him. Or the temptation of picking up something from his Starry Night and red spiny oyster collections! All told, I thoroughly enjoyed the show, saw a number of beautiful examples of traditional and contemporary American Indian works, and came home with a few pieces myself. I’ll be interested to see if next year continues the trend of stable sales despite lower attendance and fewer true jewelry making innovations, or if something new will emerge to capture our imaginations.